This is a gorgeous green blue beaded necklace. 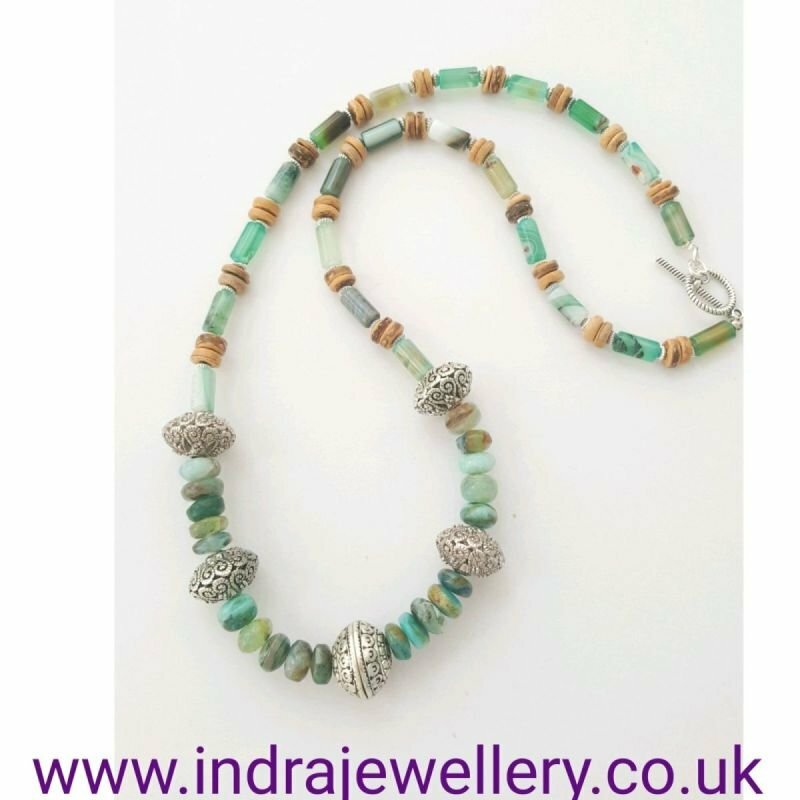 I have used a mix of genuine peruvian opal gemstone beads alongside indian agate tube gemstone beads which compliment each other beautifully and finished the necklace with some coconut husk beads and a few chunky silver spacer beads around the bottom of the necklace. This truly is a gemstone lovers must have accessory! The beaded necklace measures 27" and has a toggle clasp for easy fastening. Indian agate is great for increasing relaxation and meditation and it is also a good protection stone warding off bad luck! and peruvian opal is great for balancing stress due to day-to-day life, it also increases ideas and boosts creativity!